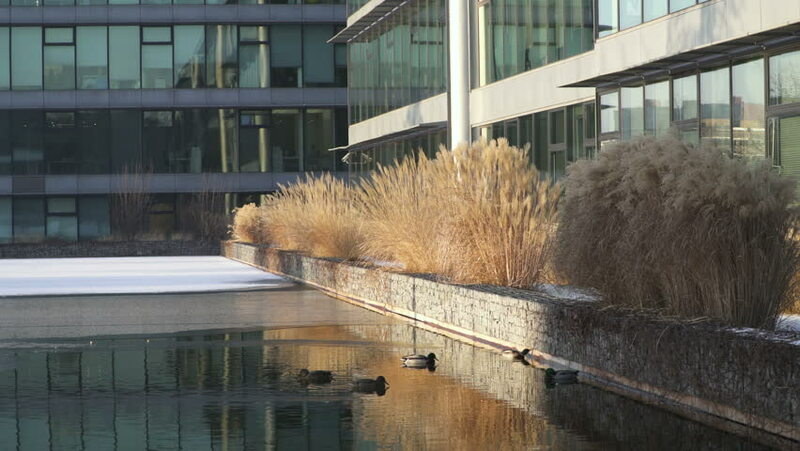 Wintry Exterior Modern Building Offices and pond with swimming ducks on it in Prague. hd00:27Slow motion focus shift on Native American birch bark canoes, from the front to the back. hd00:16Pan right to left inside a house in the process of being demolished.